I’m convinced my son is part swallow—at least when it comes to bathing. He dives in and flies right out. My style, on the other hand, is more raptor like—lying partially submerged in a good, still soak--without the spurts of raucous splashing of course. Turns out birds—much like humans, have certain styles when it comes to the bath and bathing style varies with body, wing and leg type. 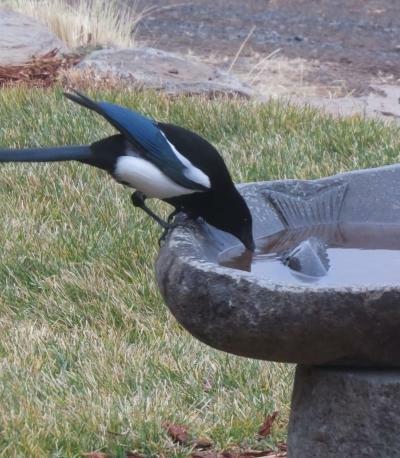 With a birdbath just outside my kitchen window, I am entertained daily watching various birds and their antics in the bath. 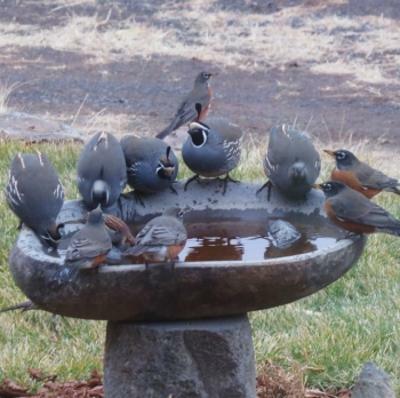 Just a few weeks ago, in the heart of winter, I counted over 6 species drinking, dipping and splashing. 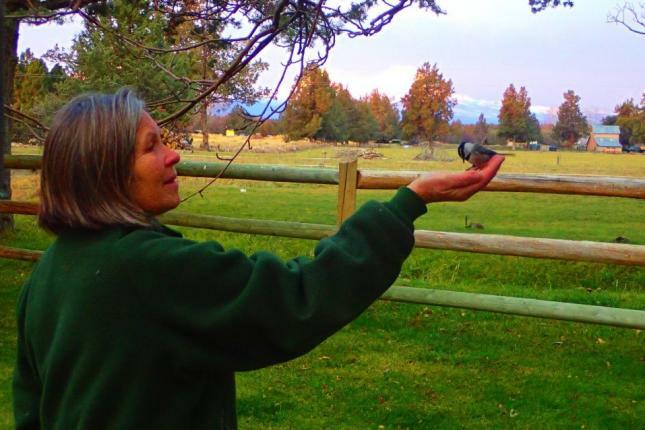 Quail, robins, goldfinches, sparrows, cedar waxwings--even a magpie and a flicker tested the waters. Water is essential for life-- all year long. If you wonder why, you’re not alone. Nearly a century ago, the question “Has anyone fully answered the question why birds bathe?” was raised in an issue of Bird-Lore magazine. So many responses ensued a follow up article titled “Why do birds bathe--part II” continued the discussion debating the merits of bathing. 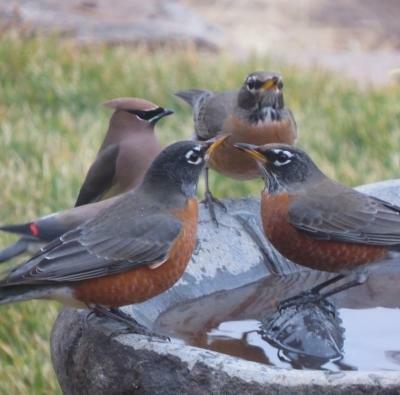 Currently, the experts at Cornell University site three key reasons birds need the bath: to drink, to clean their feathers, and to remove parasites (LEARN MORE here). And scientists continue to study the question. A recent study put captive starlings through the ringer (via washing, of course) then conducted flight trials by creating an “aerial obstacle course” (and you thought research was dull...) Their conclusion? Clean feathers are conditioned feathers—which serve to prevent nasty crashes. Who knew?